The Eighth Amendment bans cruel and unusual punishment. Capital punishment has been becoming more unusual over the past decade or so. Now, with the court's help, it's becoming more cruel. The state of Missouri is set to execute Russell Becklew, a man who suffers from a rare condition that will make death by lethal injection unbearably painful. He's requested to be executed by a different method that will be quicker. In the two previous cases that established this precedent, the court ruled that states should try to minimize pain when carrying out executions. In a new decision, Trump-appointed Justice Neil Gorsuch has just accepted an interpretation of this promoted earlier by Justice Clarence Thomas that it only means that states should not "intentionally" make executions more painful than necessary. Jill Richardson is the proprietor of the blog La Vida Locavore. She writes on food policy issues and she is currently working on her first book, due out in 2009. 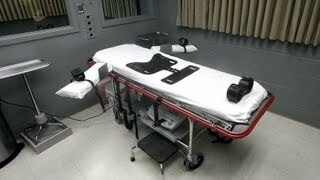 "Bucklew argues that he suffers from a condition known as "cavernous hemangioma" that would cause blood vessels in his throat to rupture during lethal injection, As a consequence, he alleges, he would choke to death on his own blood." I don't believe that his argument has any medical merit. As a court case, the facts make a difference. Unfortunately, many in the Supreme Court have contributed to decisions that are blatantly un-Constitutional by lying about the facts. However, your link is pretty much worthless. OpEd pieces, especially in the MSM, are often misleading or outright lying about the facts; that is often true of newspaper articles too. You are probably quite wrong. Explanation sounds plausible, you find me if Bucklew claims something else, not cavernous hemangioma. And the fact that it might rupture during lethal injection is ludicrous, that he would "choke in his blood" prior to dying from the injection just more ludicrous. And the death penalty still insanely, perhaps suicidally, teaches too many that killing is an option...a state-sanctioned Problem Solving Tool...one that inures many to the horrors of killing.